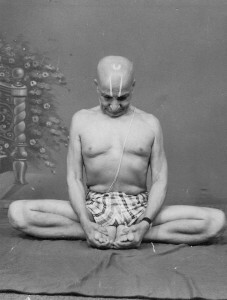 One of the potentials in the Haṭha Yoga teachings of Krishnamacharya and Desikachar is the understanding around the viniyoga or application of Bṛṃhaṇa Kriyā and Laṅghana Kriyā in terms of their potential to enhance sensory stimulation or to diminish sensory stimulation. Both approaches can be used where appropriate to impact on how we are stimulated by the world through the senses and thus be more drawn to interact with it in a more extravert way, or how our sensory stimulation is quietened and thus we are more easily able to withdraw from the activities of the senses. Both approaches are valid and applied according to our changing age, life situation and life stage. Here the role of a teacher is helpful in learning the skills of self application within our daily practice. We can learn how we can fine tune our practice according to our basic nature and where it needs to be within day to day living and its demands. This alchemical process would also be difficult to explore other than in some very generalised way within a weekly group class given the mix of the age, gender, interests, needs, potentials and core physiological, energetic and psychological natures of the students. Let alone where they are in their life circumstances, external demands, work roles and life stage or even the teacher having time and situation to explore each student personally to gain some insight into what is happening at that life moment within the small window offered by time and group size. 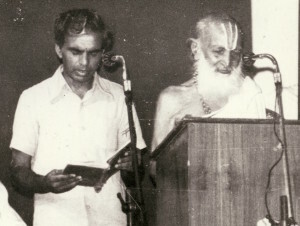 Hence throughout Krishnamacharya and Desikachar’s teaching life, apart from group classes for children and young adults, they taught only personal lessons. 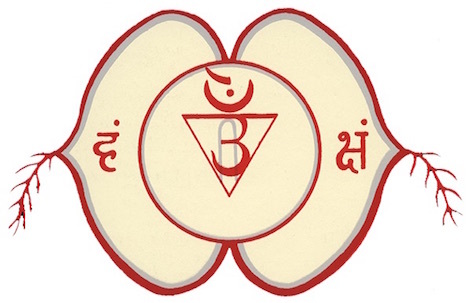 My understanding from my discussions over the years with TKV Desikachar regarding the context and content of Yoga Makaranda, is that when teaching youngsters the length of the breath was minimised to a relatively short fixed length and use of Kumbhaka was limited to a few seconds Antar Kumbhaka and Bahya Kumbhaka. However there were no limitations on the range or intensity of Āsana and lots of use of variations to be engaged with within each Āsana. 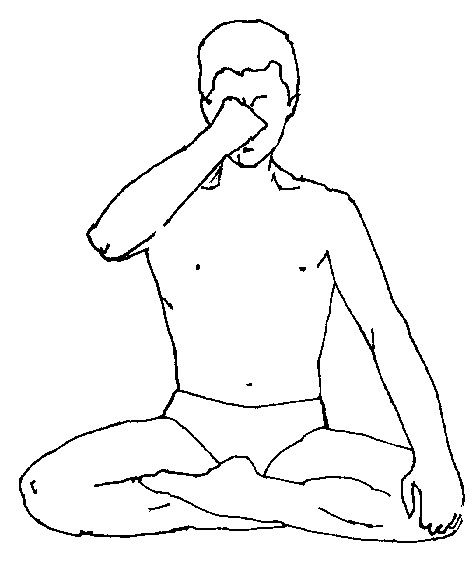 “The Āsana are presented in Vinyāsa Krama, the way it was taught to children in the Yogasāla. 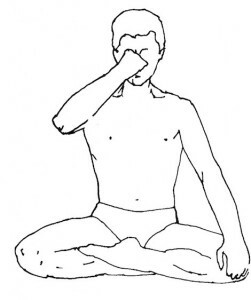 In the adult there were no such limitations for the breath and the work with variations of the Āsana was re-prioritised to working with a fewer Āsana and fewer variations within each Āsana, but with the challenge of a greater range of breathing patterns both in length and combinations. 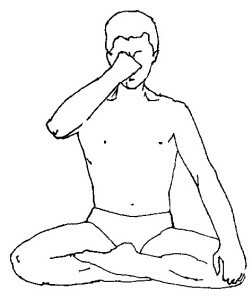 Certainly Antar Kumbhaka or Bahya Kumbhaka of 10″ was commonplace in the adult practice and here the ‘perfection’ of the Āsana was measured by mastery of all aspects of the breath rather than for the youngster, where ‘perfection’ of the Āsana was measured by mastery of all aspects of the form. 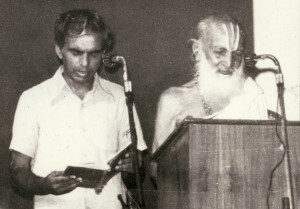 This was consistent with Krishnamacharya’s teaching in his Yoga Rahasya on Yoga Sādhana and Stages of Life. 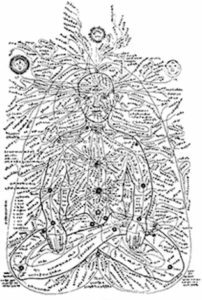 Furthermore my understanding is that if we use a particular Āsana with all its permutations of form and thus less focus on the variations of the breath it operates more as an Āsana. If we use a specific primary Āsana with the focus on all its permutations of breath and thus less priority around the variations of the form it operates more as a Mudrā. 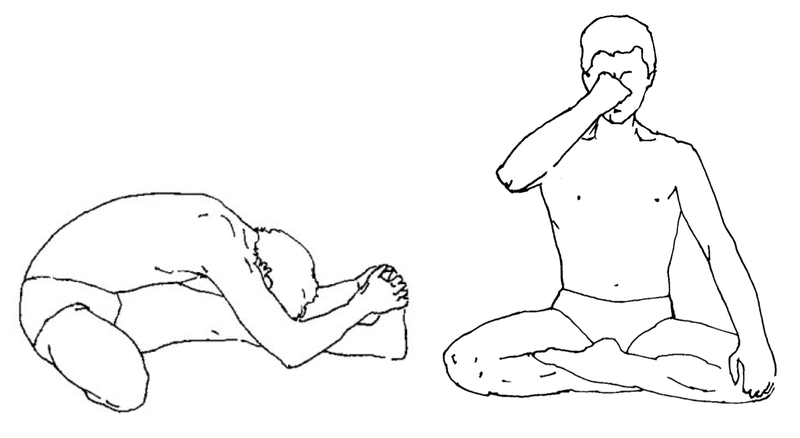 Sarvaṅgāsana is such an example with its 32 variations devised by Krishnamacharya emphasising its role as an Āsana and its static solo form with its focus on extensive breath ratios involving all four aspects of the breath, perhaps augmented by the Tri Bandha, emphasising its role as a Mudrā. For more on Sarvaṅgāsana as a Mudrā read…. 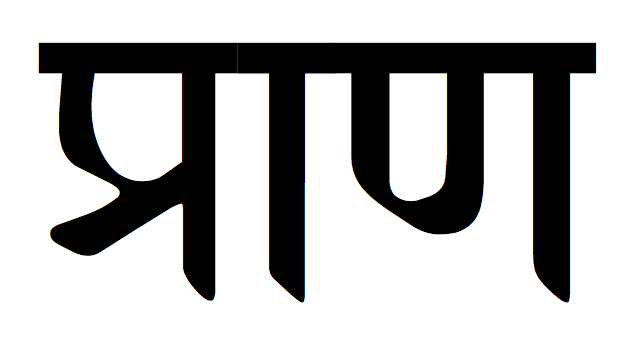 Nathamuni’s Yoga Rahasya is quite likely to be a combination of……. even when I have seen that it was he who discovered. He has discovered postures but he would say that it was his teacher who taught him. Rarely has he said that it was his “original” work. this is what Nathamuni is saying and this is what my teacher says! – ‘The Study of Yoga Rahasya‘ – Extract from an Interview with TKV Desikachar in KYM Darśanam, a publication from Krishnamacharya Yoga Mandiram vol 1 no 1 Feb 1991.